At the moment we are inundated with lovely, fresh, homegrown courgettes. So any meal that involves using courgettes is being cooked! This dish is a lovely main meal or as a tasty side dish. Courgettes are free is grown in the garden but to buy they are also cheap. This meal is a great way to get some added goodness into the family's diet! A healthy, quick, easy meal! 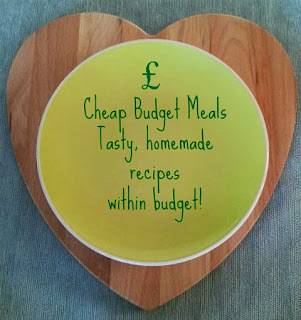 That is why I am featuring this recipe as this weeks Cheap Budget Meal. As we grow courgettes I was able to cook this meal for a minimal £2.46! That is just 49p per serving! If you need to buy courgettes it will still be a budgeting £3.45, that's just 69p per serving (5 servings). That is amazing to grow your own vegetable! And of course eat it! They look yummy!